Hiya guys! TGIF. Finally it's the weekend and the weather is beautiful outside! I'm totally feeling this weather and taking out all my bright fun polishes out of hiding. Except to start seeing a lot of bold colors and bold prints. Today I'll be sharing one of three nail looks I created using Plate 083 from Aiyoohehe. I'm a huge fan of their plates and created two additional looks with this plate that I'll be sharing through Instagram this weekend. Plate 083 is from the Plaids & Florals Collection from Aiyoohehe. There are a total of 12 plates in this collection and each one retails for $2.00. The entire collection can be purchased for a discounted price of $23.00. Before we get started with the manis I wanted to take the time to once again address the fake Héhé plates floating around. All the stamping plates in this review come from Aiyoohehe, the original creator, and are completely authentic. You can read more about how to spot a fake Héhé plate here. Note: one of the easiest ways to tell is genuine plates will have a back label with their logo. It is so important that we support the real creator and not give our money or our attention to any of the fake resellers. Now let's talk about this mani, shall we? The technique for the base behind the stamping is called dry-brush and it's one of the easiest things to do. Basically you want to have little to no polish on your brush and then swipe the brush against your nail in one direction. I usually do right to left, about four swipes, then switch colors. In my experience, the more colors you use the better this ends up turning out. Polishes used: Virtuous Polish - Deborah, Magdalene, Miriam, and Rahab. China Glaze - Fairy Dust. And there is a video showing you guys how I created this look! Please be sure to subscribe! I'm on the road to reach 500 and finally be able to change my channel name! I absolutely love how this turned out and can't fathom why I haven't done more dry-brush manis before this. I think I have only done it once like two years ago! The stamping over it really gives it such a nice touch and almost a chic bohemian feel. Admittedly I have Coachella on the brain and just about everything makes me think bohemian these days. But what do you guys think? 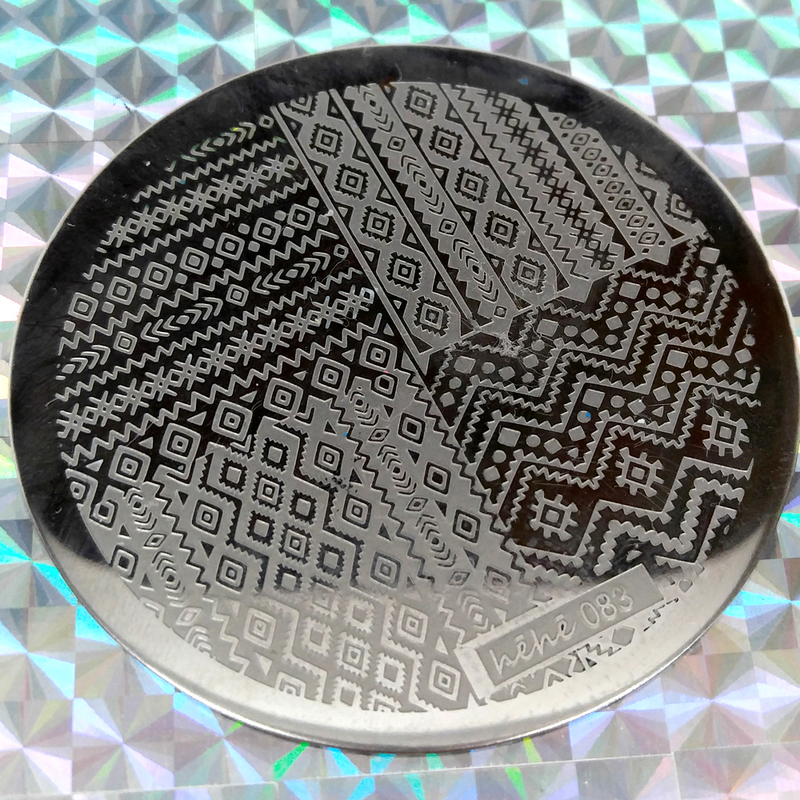 Overall the quality of the plate itself is fantastic, all the images on the plate pick up easily and are etched well. 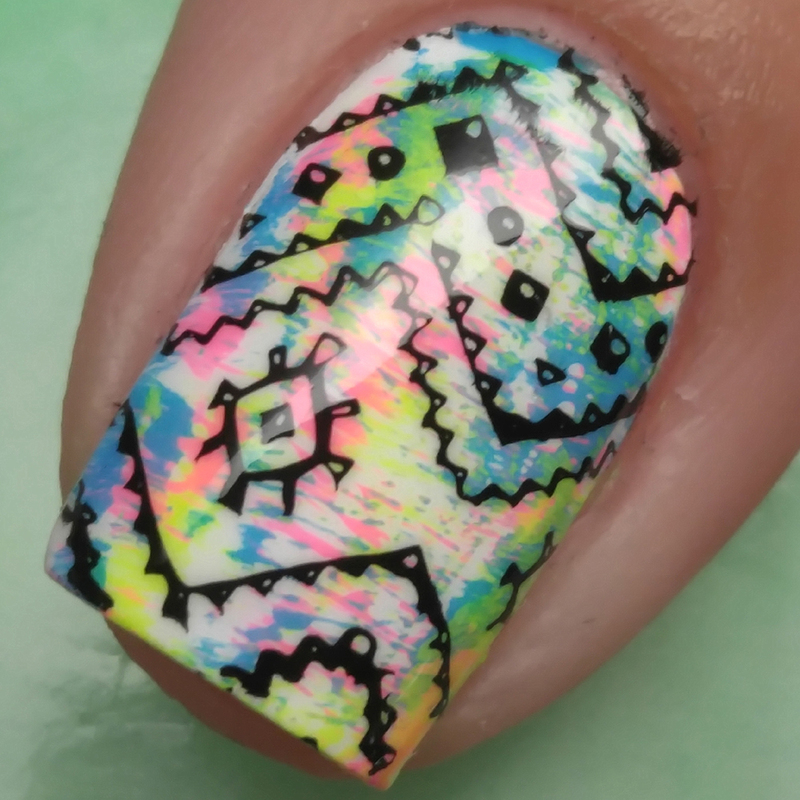 I love that all the patterns are wide, unlike the last plates I reviewed, and I was able to get complete coverage of my nail on the first stamp. Though I do have to note this particular design feels odd in a 'floral and plaid' collection, it's still a beautiful plate nonetheless and I highly recommend picking it up if you're a stamping fanatic. As I mentioned before, this plate is from the Plaids & Florals Collection from Aiyoohehe. There are a total of 12 plates in this collection and each one retails for $2.00. The entire collection can be purchased for a discounted price of $23.00. Beautiful mani! That plate looks great also. Absolutely adorable!! I love the plate as well! This is absolutely gorgeous, I love that line from Virtuous Polish! Your tutorial is great too, a YouTube tip for changing your name before hitting 500 subs is to link up your website to your account! I love this look, especially the dry-brush, I have to try that too! oh man that green! I love those bright minty 1950 style shades like that! Fabulous mani! I love that green too! That is absolutely beautiful! ! Such a clean crisp job!! Gorgeous mani! Thanks for the info on the fake hehe plates. I didn't even know.